At the state level, budgets are largely balanced across the board, in traditionally conservative and traditionally liberal states alike. According to the National Council of State Legislatures, forty-nine of the fifty states have effectively balanced budgets. Vermont, the state of Sen. Bernie Sanders (I-Vt.) is the exception. The extent to which these statutory and constitutional provisions truly require that state governments not spend more than they bring in is debated. Even still, just states’ efforts to do so go far beyond the federal government’s disregard of its problematic patterns of excessive spending. Known as “living within one’s means” on the individual level, the political term for this is "fiscal responsibility.” Through provisions for balancing their budgets, the states are largely bound to being fiscally responsible. The federal government is not, and its fiscally irresponsible spending patterns create an ever-increasing debt -- a major threat to America’s future as a country. The American people are expected to live within their means, and state governments make real, substantive efforts to live within theirs. The federal government should be held to the same standard, especially when the burden for its fiscal irresponsibility ultimately falls on the taxpayers. Every year, as established by Title III of the Congressional Budget and Impoundment Control Act in 1974, Congress follows the budget process to adopt a concurrent resolution governing fiscal policy for that year. 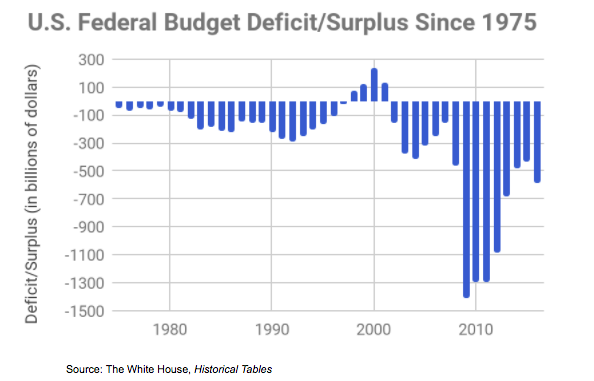 In the over four decades following 1974, only four years have seen a budget surplus, meaning that federal spending for that year came in under revenue. 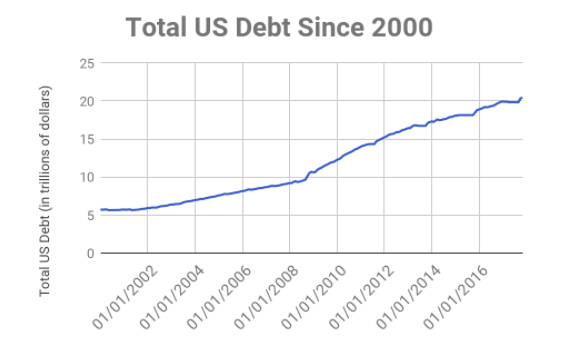 During the Obama administration alone, the national debt grew by almost $9 trillion, due in large part to the multi-billion dollar stimulus package passed in response to the 2008 recession. This massive experiment in government spending as a means to boost the economy was unsuccessful, and reinforces the merits of instead cutting spending in order to grow the economy. Attempts have been made at the federal level to bring spending levels into check, most recently in 2011 with the Budget Control Act (BCA). This legislation established statutory spending caps, enforced by automatic sequestration if congressionally appropriated funds exceeded the caps. However, Congress has continually busted these spending caps, and is poised to do the same once again with this year’s end-of-the-year spending bill. The existence of the BCA, despite its shortcomings, has been effective as one of very few tools available for fiscal conservatives to continue pushing the federal government toward fiscal responsibility. A more lasting, enforceable way to promote fiscal responsibility at the federal level is through ratifying a constitutional balanced budget amendment. Part of the BCA required a vote in both chambers of Congress on a balanced budget amendment, but the effort failed to pass in both houses, when the Senate was controlled by Democrats and the House by Republicans. Now, with a renewed discussion of excessive federal spending and ever-climbing debt, there is reason to bring a balanced budget amendment back to the table. Balancing the federal government’s budget would bring the extraordinary deficits back in check, and contribute to the fiscal responsibility of the federal government. In the 115th Congress alone, thirteen balanced budget amendments have been introduced by Republicans. Each has individual pros and cons on spending restrictions, enforcement provisions, and feasibility. Through analysis of these thirteen amendments, we offer “Proposed Constitutional Amendments in the 115th Congress to Balance the Federal Budget” as a resource both for information on the breakdown of each option, and for our recommendations in proceeding forward. We are supportive of the movement for a budget amendment, an ideal component of the larger fight to hold the federal government to fiscally sound, responsible practices.